The ROTOLAVIT II cell washing system facilitates routine tasks in transfusion centre laboratories. It was developed for crossmatching, as well as antibody search and differentiation, and for cell washing in TB tests. By automating the routine processes, not only does it reduce the amount of manual work required, but also ensure repeatability by reducing human error. 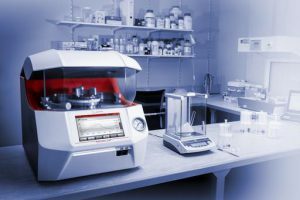 The centrifuge has a small footprint and delivers reliable results at low costs for consumables. Although made for cell washing in blood centers, hospitals for serologic evaluation, the ROTOLAVIT II is flexible enough to be used for cell washing procedures in oncologic or immunologic labs. Apart from spinning tubes like a standard centrifuge, it can also be used for making cell suspensions. The end user can combine the settings in a very flexible manner. The ROTOLAVIT II can spin up to 24 tubes in one spin, with maximum Revolution per minute (RPM) of 3500 or 1438 relative centrifugal force (RCF). It only requires little effort to clean and maintain the equipment, with the whole rotor easily removed without the use of tools. speed and many other parameters to suit their individual requirements. In a glance, the user can also get useful information such as the sequence and cycle number the equipment is currently on. 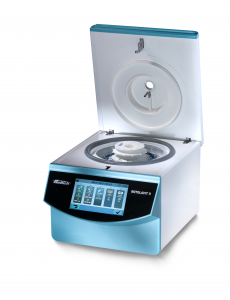 Overall, the ROTOLAVIT II is a simple and user-friendly centrifuge with great customizability. The touch screen display allows users to easily set parameters to their requirements. The ROTOLAVIT II is suitable for many facilities including but not limited to Hospitals, Hematological labs, Blood centers and Clinical labs. The new Multiwave 7000 microwave digestion system combines the well-known concept of Anton Paar’s HPA-S with modern microwave technology, representing the best way of acid digestion. Multiwave 7000 stands for complete digestions, a streamlined workflow, lightweight accessories, budget-friendly easy-to-handle vials, budget-friendly upgrades, ready-to-use methods and automated cleaning procedures. The core feature of Multiwave 7000, the PDC (Pressurized Digestion Cavity), allows acid digestion at temperatures up to 300 °C and pressures up to 199 bar. This ensures complete digestions of all kinds of samples such as food, environmental, polymer, cosmetic, pharmaceutical, geological, chemical, and petrochemical samples - even in the same run. The vials with plug-on caps are available made of glass (disposable), quartz, or PTFE-TFM and provide tool-free, even screw-free, handling. Lightweight and budget-friendly PTFE-TFM racks and vials save running costs and reduce the maximum weight which needs to be carried to less than 1 kg for up to 24 samples. Temperature and pressure sensors for reaction control are already integrated in the PDC so no optional sensors need to be handled. Implemented ready-to-use methods and Anton Paar’s customer-specific application support replace time-consuming method development. Disposable vials and automated cleaning procedures further minimize the laboratory work. Racks with up to 24 positions combined with 2000 W power and integrated water cooling minimize the heating and cooling times and maximize the sample throughput. Products on display this year includes the new Flexicon PF7, which is the latest addition to Flexicon’s flexible, reliable and versatile range of peristaltic filling machines. 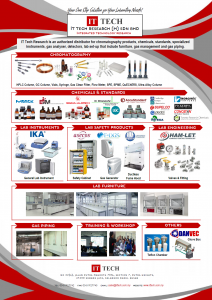 Flexicon products are the preferred choice for the biotechnology and diagnostic industries as well as for R & D purpose. Pavel Abdulkin, Head of Particle Works, Blacktrace Holdings Ltd., which develops and manufactures high performance nanoparticles and microparticles, was clear about the impact of the new technology on his work: "The Zetasizer Ultra has dramatically increased our sample throughput, enabling us to accelerate our particle development cycle from 12 month to around a month." 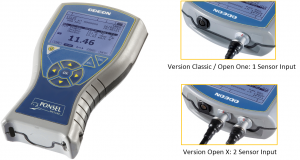 The Zetasizer Pro and Ultra systems are controlled by groundbreaking ZS Xplorer software, introducing new sample-centric workflows which make method design and data analysis more straightforward for new users, while preserving full accessibility for users experienced in the application of light scattering methods. New analysis capabilities answer for the first time, key issues associated with the presence of dust or aggregates when applying dynamic light scattering for particle and molecular characterization, filtering these from the results to give a truer overall picture of the sample. This is supported by integrated, deep-learning empowered data quality guidance, offering the user instant feedback on their results and providing actionable advice on how to improve poor quality data. WILMINGTON, DE – April 7, 2017 – The DeNovix DS11 FX+ spectrophotometer / fluorometer has been awarded the coveted Reviewers’ Choice Award for Best Life Science Product of the Year 2017 at a special ceremony held during the meeting of the American Association of Cancer Research in Washington D.C., USA. Hosted by SelectScience®, the Scientists Choice Awards® recognize life science products that have made the greatest contribution to enabling scientists in their work. The Reviewers’ Choice Award for Life Science Product of the Year 2017 is given in recognition of the product most highly rated by scientists around the world based on criteria such as ease of use, after sales support and value for money. 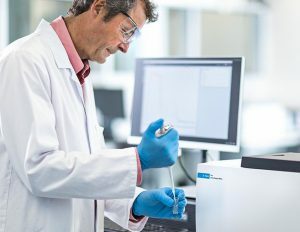 The DS-11 FX+ is a unique combination of sample microvolume spectrophotometer, cuvette absorbance and fluorometer that enables researchers to gain quick and accurate quantification of nucleic acids and proteins, robust sample quality control and perform a range of UV-Vis and fluorescence applications. The DS-11 FX+ is a stand-alone instrument engineered for rapid and accurate UV-Vis and fluorometric analysis across a wide range of applications and industries. 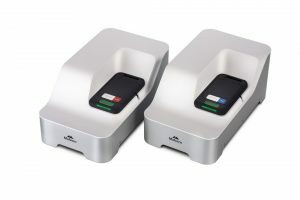 The system includes DeNovix’ custom Android™ operating software, Wi-Fi / Ethernet network connectivity and a glove-compatible HD touch screen. Each new instrument is calibrated for life, maintenance free and backed by an industry-leading three-year factory warranty. The primary applications for the instrument are UV-Vis measurements for nucleic acid and protein quantification, kinetic studies and microbial cell quantification. The intuitive interface helps users quickly create custom methods that may be defined and saved in password-protected accounts. Results are automatically stored and easily exported to e-mail, USB, network folders, network printers, LIMS, USB drives and label printers. IQ/OQ documentation and performance verification software is available to help achieve compliance in GLP/GMP environments.